Your experience getting 116710LN from AD? I was at a AD today in Southern California. Of course they had near empty case but with Explorer I, Yachmaster, Airking in stock. I asked about GMT ii, and they said Pepsi and Batman are impossible, but they can order a 116710LN (black), and wait might be 12 weeks. How does 116710LN compare to other stainless models (sub included) in terms of availability? 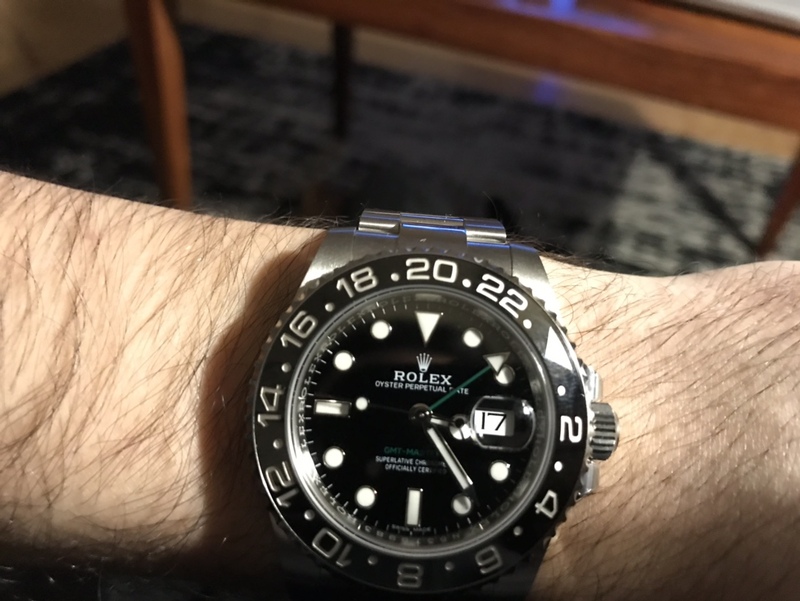 Is the 116710LN hard to find and desirable? How is it in terms of depreciation? Anyone place a deposit and wind up waiting longer than quoted? There is one sitting in the case at little Switzerland inside the hard rock hotel in punta Cana! After visiting literally dozens of ADs worldwide in the last 12 months, I’ve found 2 in the case and bought one of them. Very unlikely you'll find one in an LA display case. Get yourself on some lists and let them know you're serious and you should be able to get one even if it takes a couple months. Depreciation = 0 as of now. They’re pretty rare and I was quoted 12 month wait time. So I bought it second hand from a TRF member for just about the same price he bought it for 3.5 years ago new at an AD. It’s a beautiful watch if you only plan to have one Rolex sportwatch as it scratches the sub itch too. 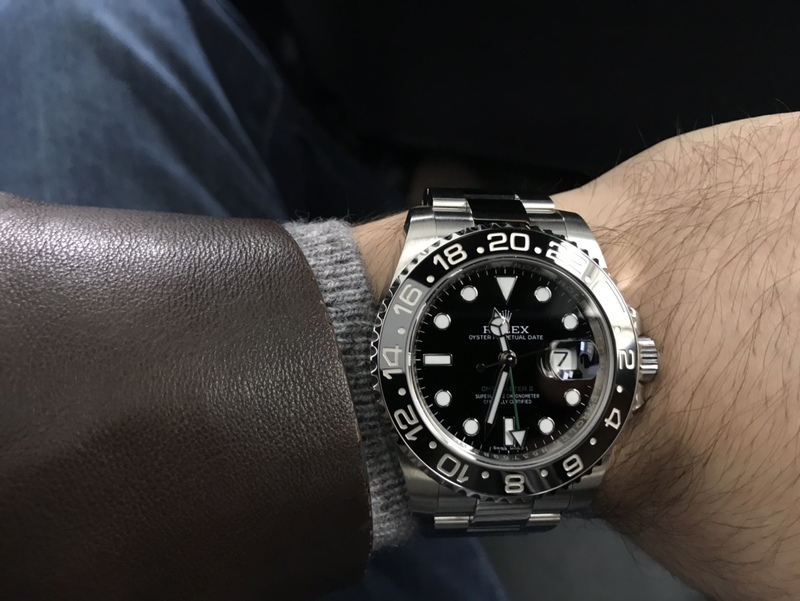 I referred a member here to my AD and he luckily got the LN GMT the next day :) Pure luck, haha. Picked one up today, my first Rolex. Depending on your location, all sports SS are rare here. A couple of days before this past Christmas I walked into an AD in Florida and the salesperson was putting one in the case and said she just called the person who had ordered it and he said that his circumstances had changed. Been on my wrist 24/7 since. Probably the most versatile Rolex I've had. I turned to look but it was gone, I cannot put my finger on it now. It was exactly my thought being the first one. I asked my AD for it, and about 2 weeks later they got one. Should be relatively easy to find, even at 12 weeks, its not that bad! The LN is my one-and-only, and unless you plan on building a collection then this is perhaps the most versatile reference in the Rolex range. Out of stock and selling grey at a £2k premium here in the UK.